About Dr. Martin T. Elson, D.D.S. 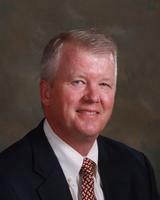 Dr. Martin Elson has been setting the standards for high quality oral and maxillofacial care since 1993. He received his Bachelor of Science degree from Fairleigh Dickinson University. He continued there to begin his graduate schooling and went on to receive his Doctor of Dental Surgery degree from Northwestern University School of Dentistry. He also completed a General Practice Residency and Oral and Maxillofacial Surgery and Facial Trauma Fellowship training at the University of Maryland. A published author and public speaker, Dr. Elson continuously strives to stay up-to-date of the latest advancements in the field of oral and maxillofacial surgery. He is a Diplomate of the American Board of Oral and Maxillofacial Surgeons and maintains memberships with numerous prestigious organizations, including the American Association of Oral and Maxillofacial Surgeons, the American Dental Association, the Rhode Island State Society of Oral and Maxillofacial Surgeons, the Rhode Island Dental Society and the Cranston Dental Society. In addition to his private practice, Dr. Elson serves as a Clinical Instructor in Surgery at Brown University School of Medicine in Providence, Rhode Island and as a CCRI Instructor in the Department of Hygiene in Lincoln, Rhode Island. During his leisure time, Dr. Elson enjoys boating and fishing.